David Price, a member of our local group in Sheffield, reflects on the Immigration Bill. In this country, laws are introduced not because they are necessary, but in order to win tabloid support for one’s party and to counter the threat from UKIP. 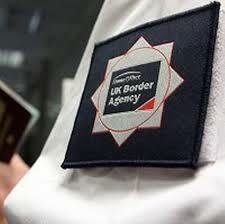 Take the Immigration Bill, which is currently being rushed through Parliament in an attempt to prevent serious probing. It is backed by both parties in the Coalition, and Labour say they will support it on certain conditions. Ironically, one of the Bill’s most vehement critics is Nigel Farage of UKIP, who sees it as ‘anti-libertarian’. For once, I agree with Farage. Like many other activists working with migrants and people seeking sanctuary, I am disturbed by the Bill’s proposals for the NHS, for immigration checks and for the removal of rights of appeal. As regards the NHS, the Government has failed to show that ‘migrant tourism’ is a big problem, but nonetheless proposes annual charges of £200 for ‘temporary migrants’ for their prospective use of the NHS. In Sheffield we held a meeting on 29 October, attended by more than 60 people, with much expertise in medicine, asylum and migration. They saw no need for this charge. After all, migrants pay VAT, working migrants may pay income tax, while overseas students pay substantial fees. Far from being a burden, migrants keep the NHS going: 30% of NHS doctors and 40% of nurses were born outside the UK. The Students’ Union at the University of Sheffield is campaigning vigorously against the charge. Our meeting was particularly concerned about the potential threat to people refused asylum. They suffer destitution and may be highly vulnerable, but at present can at least get free primary care and benefit from some excellent special services in Sheffield. We fear that the Government may in future deny them this access. Secondly, the Bill proposes checks on the immigration status of all people seeking a tenancy, an account at a bank or building society, or a driving licence. Private landlords would face the risk of a civil penalty fine of up to £3,000 per irregular migrant tenant. Trying to turn landlords into border guards is unrealistic and potentially damaging. We fear that it will lead landlords to discriminate against people who cannot quickly prove that they have leave to remain – and leave to remain is usually not obtainable until a person has been in the country for five years. The Home Office will not be able to deal with the volume of queries that will arise – it already has huge backlogs. Landlords may well avoid lets to anyone about whom they have a doubt, leading to a serious increase in homelessness. Checks by banks, building societies and DVLA will also be damaging. In practice, in order to save time, staff will focus on those whose colour, ethnic background and origins suggest that they might not have leave to remain. Migrants will be then unable to get bank accounts, and consequently have difficulty obtaining employment and state benefits. Thirdly, the Bill proposes to remove the right of appeal for a large proportion of immigration decisions – a perverse reaction to a situation in which between one third and one half of the Home Office’s decisions are found on appeal to be faulty. Instead, the Home Office should put more high-quality effort into getting decisions right in the first place. This part of the bill will damage Britain’s reputation in the world, as all migrants including students, highly skilled workers and family visitors will no longer be able to challenge wrong decisions. Since the UK Border Agency has so recently been abolished as not fit for purpose, to place total confidence in immigration decisions without external redress is deeply irrational and damaging to community relations, our national life and economy. This bill aims to provide the Home Office with enormous amounts of information to enable them to pursue ‘irregular migrants’. But the Home Office only follows up 6% of the tip-offs it already receives from the public about irregular migrants (Home Affairs Committee, 8 November), reinforcing the view that this Bill is futile for its own purposes as well as highly damaging. Theresa May claims that the bill will create a ‘hostile environment’ for illegal migrants. We believe that this ‘hostile environment’ will affect most migrants.